Pesto sandwich. With 2 kinds of cheese. The cheese is so melty and warm, the sandwich opened up like a clam. 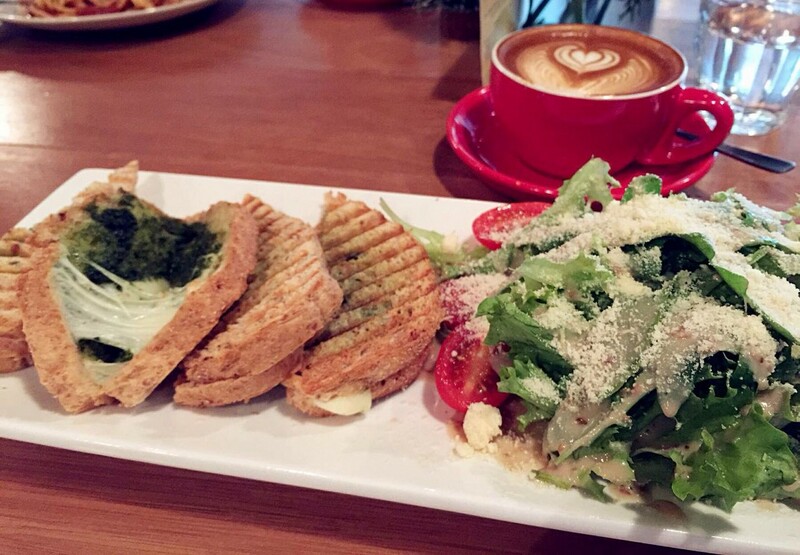 :D hahaha crispy crust, melty cheesy pesto with a generous serving of salad sprinkled with Parmesan! Hmmmm! Enough to make a goat curious! Oozing, overflowing delicious cheeeeeeeese! Maybe it's made from the milk of this poor curious goat.